Out of Stargate SG-1, Atlantis, Universe, and the lesser known animated Infinity, which is your favourite Stargate series? My favourite is the original Stargete: SG-1. My favourite season is season 7, but in general I prefer the earlier seasons. It wasn't quite the same when Richard Dean Anderson left. I love Atlantis too, but absolutely hated what they did with Universe. I hate the characters, and hate the camera style even more. I only saw a few episodes of Infinity, but it did not really show any connection with the live action show, so didn't bother watching it. 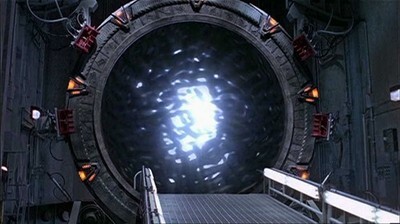 I loved all the live action Stargates, and I actually forgot Infinity existed, I always meant to check it out. Universe was my favourite even though I felt like they were trying to rip off both Battlestar Galactica and Star Trek Voyager. I loved the characters, I was so happy to find Robert Carlyle in Once Upon A Time after SGU ended. The original is always the best! 10 seasons and a bunch of movies, plus a cast transition! Great stuff. My fave was Atlantis. I LOVE Rodney!. I know this probably sounds funny, but it was nice to see a Canadian character who is portrayed as very intelligent but also as an arrogant douchebag. It's a nice change from the typical 'very nice but not that bright' Canadian you see on most other shows. I also really liked the cinematography and the sets for the Atlantis series. There isn't much to differentiate the series, so I won't pick a favourite. I will however contend that SGU was cut down in its prime. Not much to differentiate? All the characters and story lines are different (although some SG-1 characters did seep into SGA late on).